Last Friday over 1200 New Yorkers packed the Apollo Theater for the Harlem premiere of Homegoings. 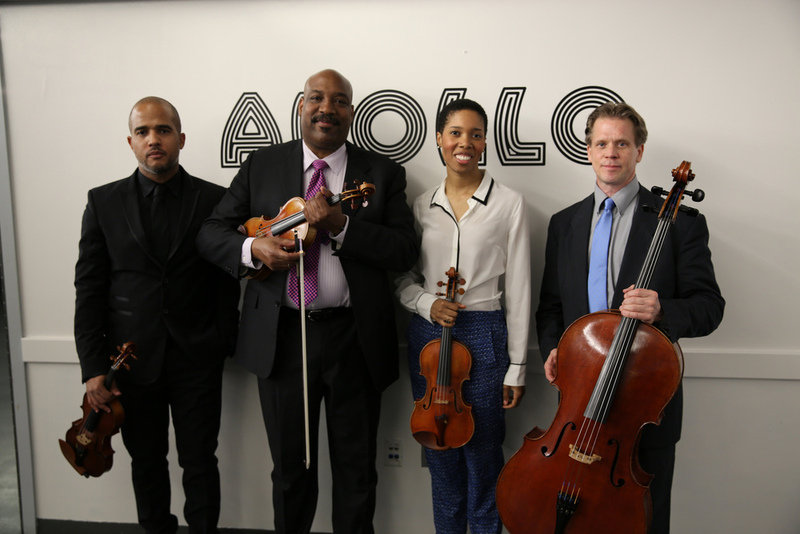 A special thanks to Daniel Roumain (the film's composer) and the Harlem Chamber Players who kicked the screening off with an incredible live performance; and to everyone who came out in support of the film! Tonight Homegoings will be broadcast nationally on PBS's POV series at 10pm. For those of you in New York who would still like to see it on the big screen, the film is having a limited theatrical release at Maysles Cinema until July 1st. “Exquisitely tender. . . one of those rare opportunities to go toward the thing we fear most—death—and realize how much joy and comfort there is in it, when handled with grace and care. Thoughtful and enlightening.” – The Washington Post.